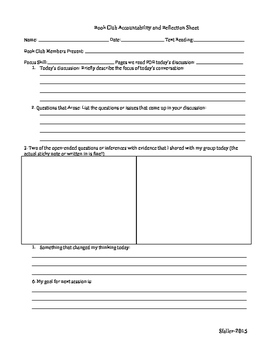 Book Club/Guided Reading Accountability and Reflection sheet! This reflection page keeps every student in your book club group accountable for contributing/doing the work. They can do it every time they meet or just once a week even!